Perhaps you have heard a rumor that Nikon will launch the Nikon D7200, but you do not need to rush to buy it. 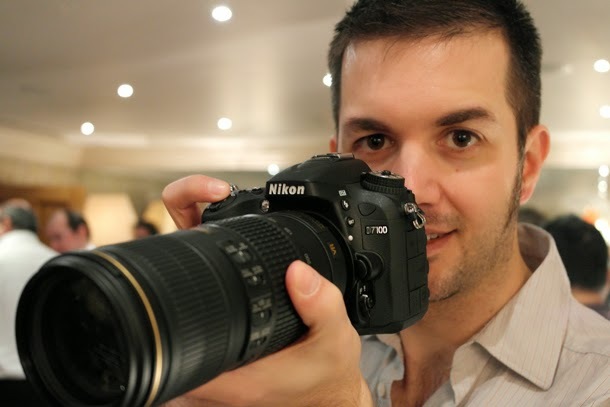 You can still rely on the Nikon D7100. 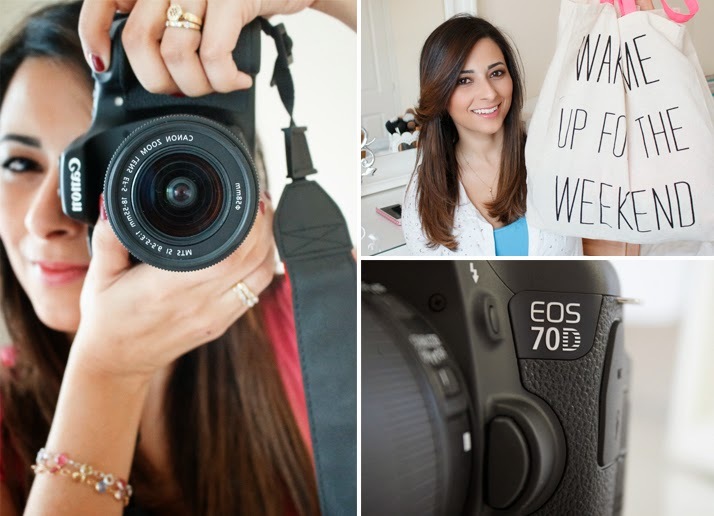 This camera is a formidable competitor of the Canon EOS 70D. But in general, both of which are classified as advanced DSLR cameras, and is great for use by a photography enthusiast, even for businesses in the fields of photography, for example, to make pictures in studio, weddings, seminars, workshop and other important events. Each of camera has a feature that is inherited by its predecessor, which of course is more sophisticated. Nikon D7100 get a 51 point focus of the professional Nikon DSLR cameras, the Canon 70D also get a 19 point autofocus module of his brother, the Canon 7D. So you should not hesitate to choose the D7100 or EOS 70D for hobby activities, or professional photography. The resulting image quality either by D7100 and the EOS 70D is almost as good, and would be difficult to judge which one is the best. 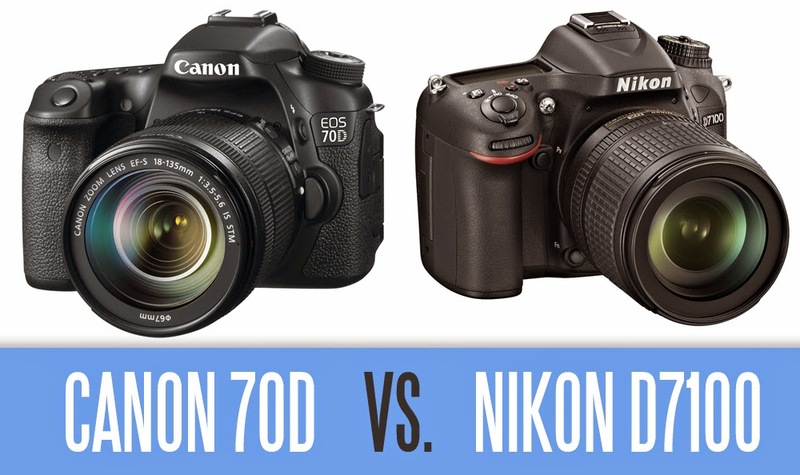 However, if you notice more carefully, then the size of the photo sensor on the Nikon D7100 is bigger than the Canon 70D, which the D7100 is equipped with a sensor of 24 megapixels, the Canon EOS 70D whereas only 20 megapixels. Meanwhile, the Nikon D7100 does not have a low pass filter, so the images are also slightly sharper than its competitors. From the aspect of design, the Nikon D7100 body is more robust, because it is made of magnesium alloy metal material that coats the top and back of the camera. The resilience camera against water, dust, humidity level above the Canon 70D, as well as buttons and knobs are also more fully on the Nikon D7100, making it easier for users to quickly change settings. Nevertheless with the Canon 70D holds in a while, you will also be familiar with all the buttons and features provided by Canon. If you pay attention the Canon 70D, then you will get an LCD with touch screen, and lets you take pictures with the rear LCD screen (live view), for autofocus, video and camera settings. After all, the LCD on the 70D can be rotated, and a lot of photographers who say that the Canon 70D autofocus during live view and video recording is much faster and smoother. Meanwhile, the Nikon D7100 also has other advantages, ie you will get a sharper image results because there is no low-pass filter in front of the sensor. In this Nikon you also get a choice of automatic 1.3x crop, and it is very rare you get to the other camera because this Nikon camera gives you two SD memory card slots, so if you shoot in RAW+JPEG, RAW images can be stored on one card and JPEG images on the other, or still images on one and videos on the other. Both cameras are compatible with the fastest UHS-1 memory cards and with the full 1080p HD video capture modes talked about above, these are required for the best results. On Nikon D7100 you will enjoy 100 percent viewfinder coverage. The LCD screen on the D7100 is 3.2 inches, while the Canon 70D is only 3 inches. For those who want to buy a new digital SLR camera for the first time and are more likely to videography, the Canon 70D may be more flexible because the autofocus during live view more quickly. You also get WiFi feature to transfer images to other devices such as tablet PCs, smartphones or computers. Meanwhile, the demand for digital SLR cameras that produce a more detailed picture quality and sharp, for example if you want to print the photos in large size, the Nikon D7100 is a better choice, anyway D7100 has a strong body because it is made with the aluminum alloy. Whichever camera you choose, whether Nikon D7100 or Canon EOS 70D, then you actually have to choose a camera that is equally remarkable. Both cameras fit for you and can be used for a variety of photographic needs, so you do not have to buy the latest camera. You better invest your money in the future to buy the lens, so you can be creative to make it easier for you to become a professional photographer.